So here is a wine you don’t see around a lot. Emilio Hidalgo is probably my favourite single label – as if La Panesa were not enough on its own they also make El Tresillo and El Tresillo 1874, not to mention El Privilegio 1860 and the ethereal Santa Ana PX. 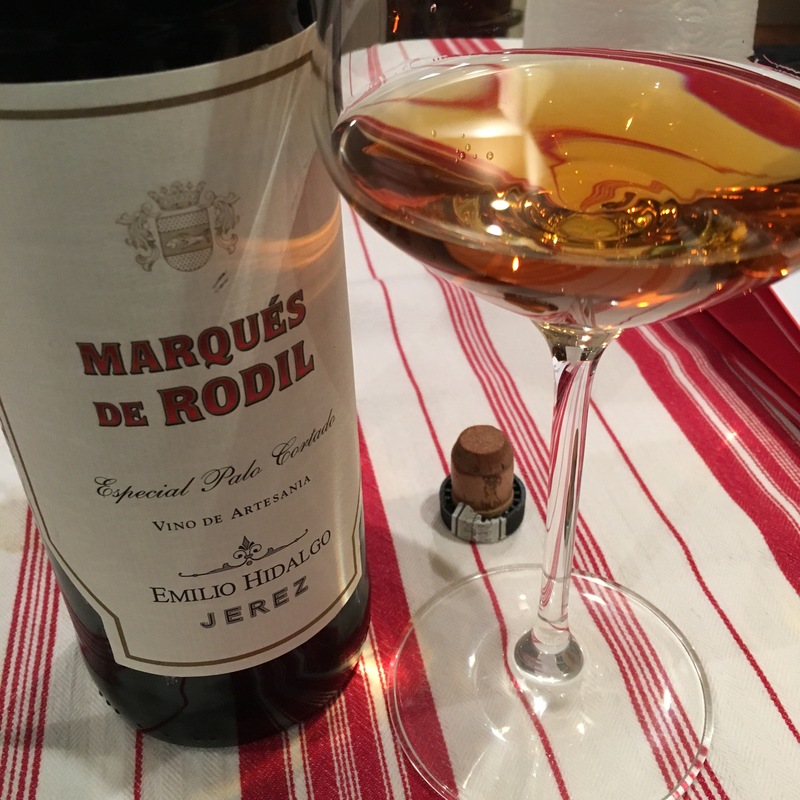 In fact the only wine I hadn’t tried before from this bodega is this Marques de Rodil “especial” palo cortado, which had an average age of anywhere between 15-20 years when it was bottled in 2013. On the palate it doesn’t suffer as badly and has a lovely combination of caramel, bite and salinity, with a long finish that seems to suggest fruit. The zingy salinity, in particular, is very noticeable for a palo cortado, but if anything it seems elegant and maybe lacking the structure of the racier palo cortados. A typically elegant wine this one but I must admit I find the nose difficult.